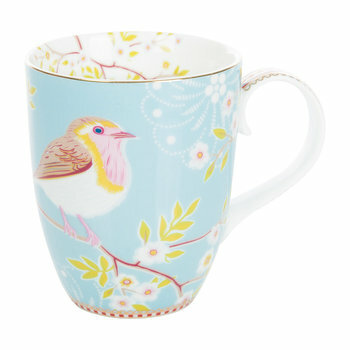 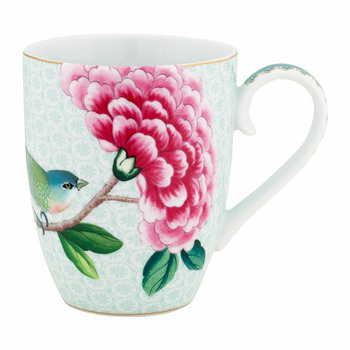 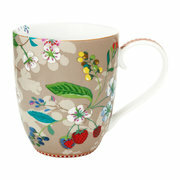 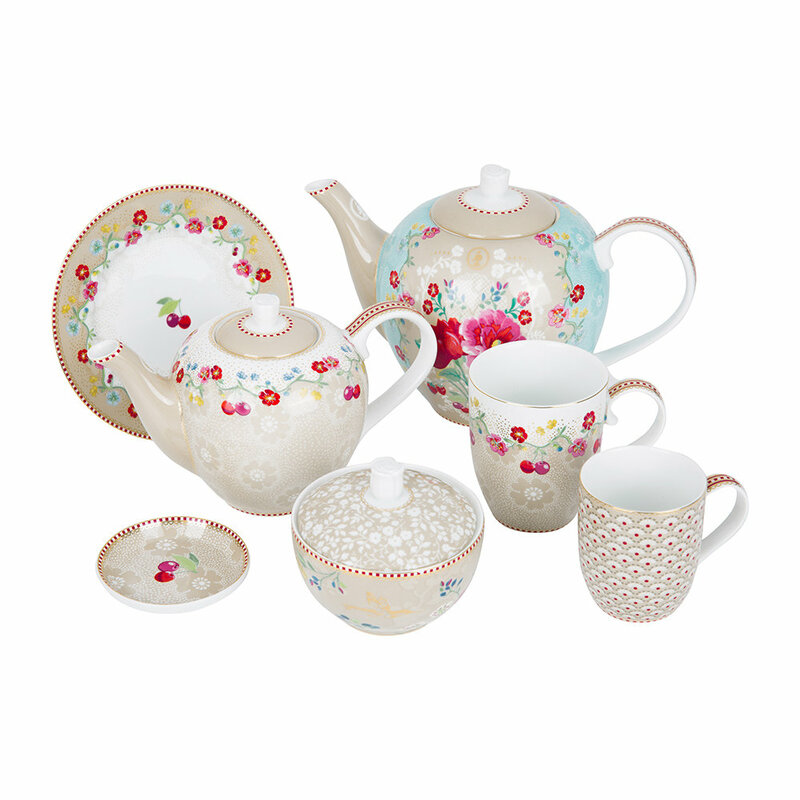 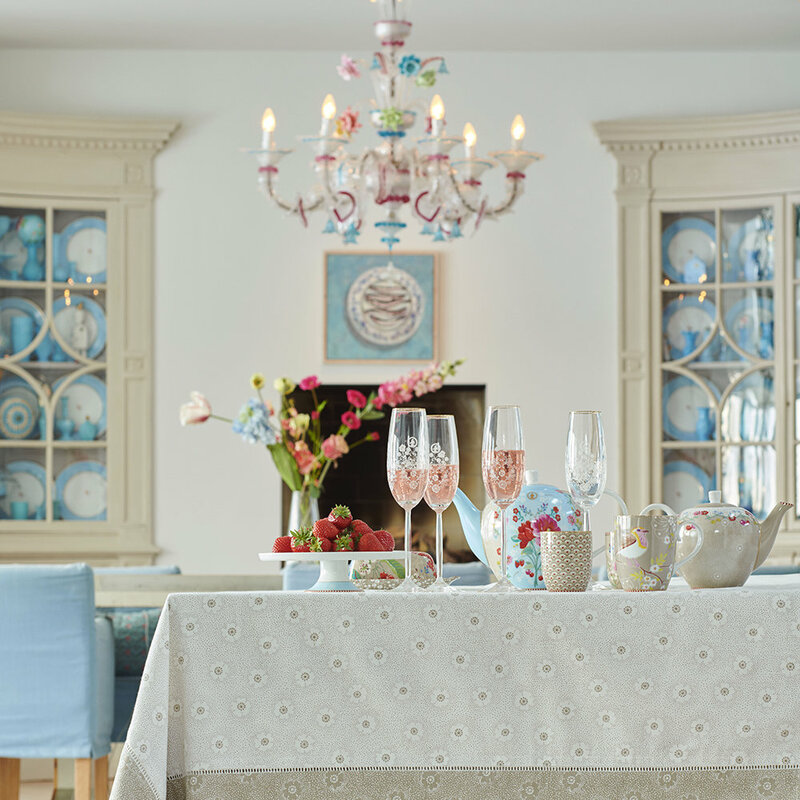 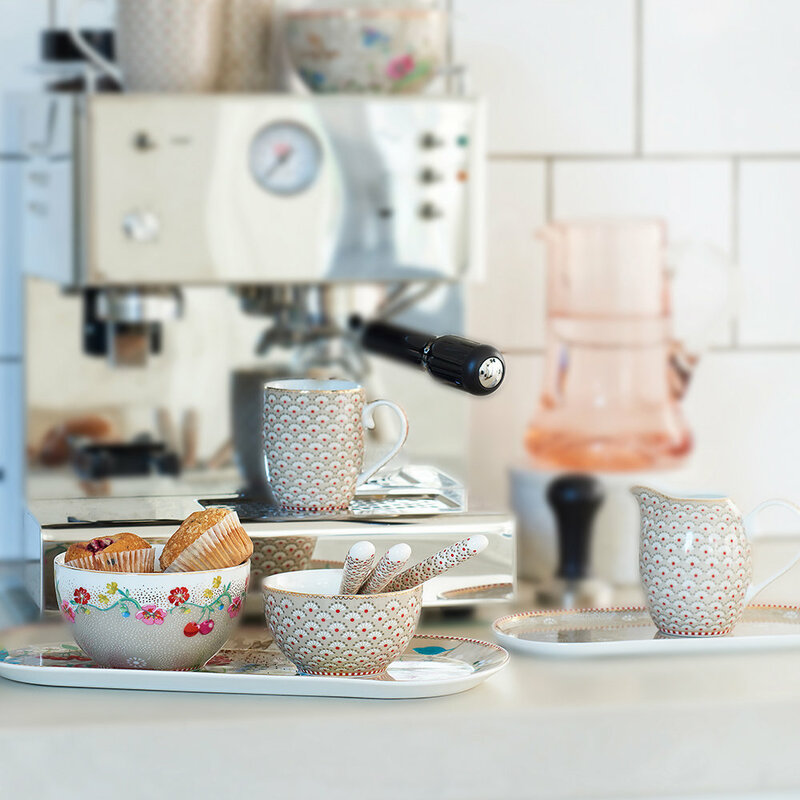 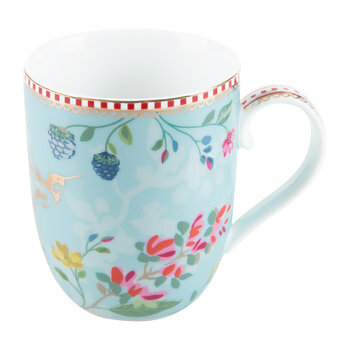 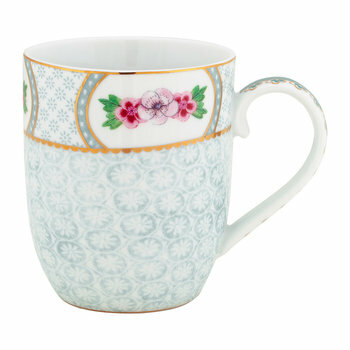 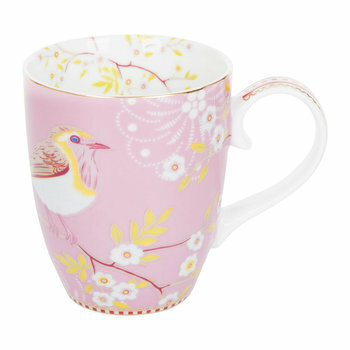 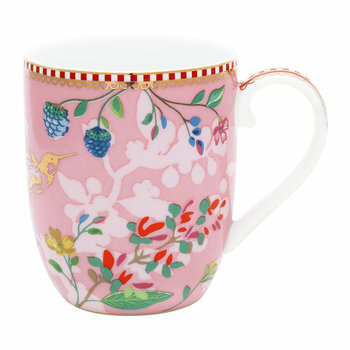 Serve your favourite hot beverages with this set of four Hummingbird mugs from Pip Studio. 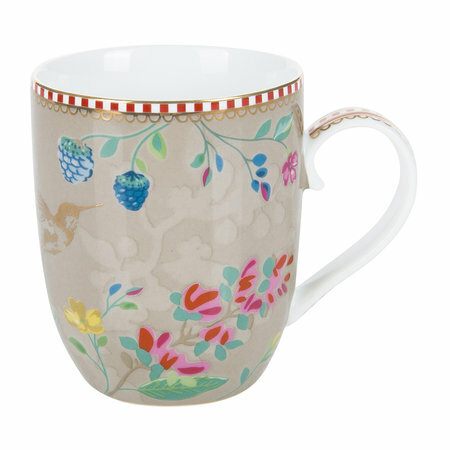 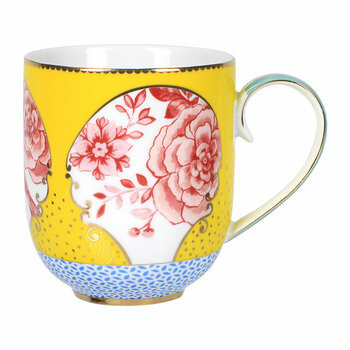 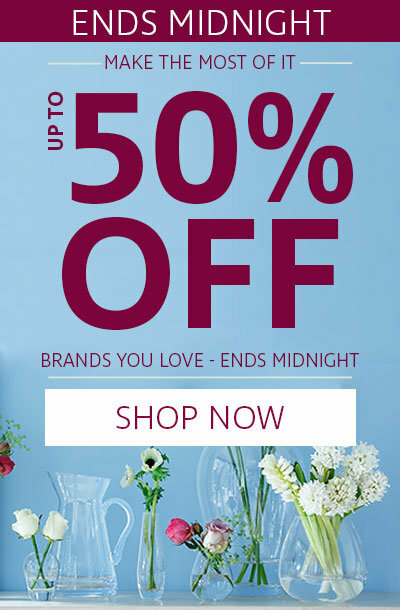 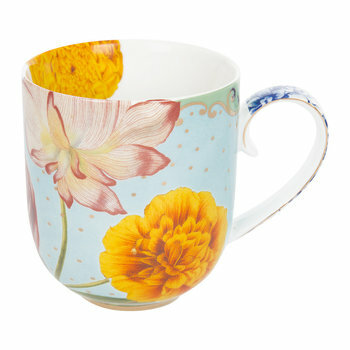 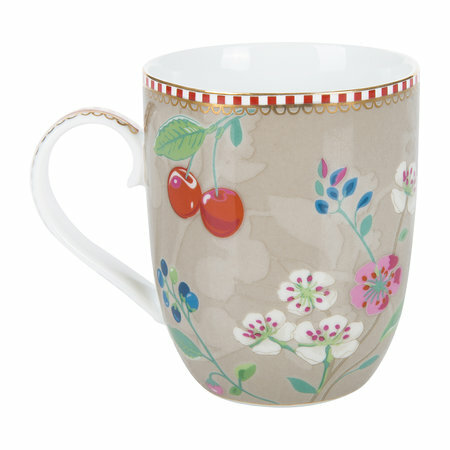 Adorned with two unique designs, two mugs feature illustrations of colourful flowers, fruit and hummingbirds and two have been decorated with the stylish Bloomingtales pattern. 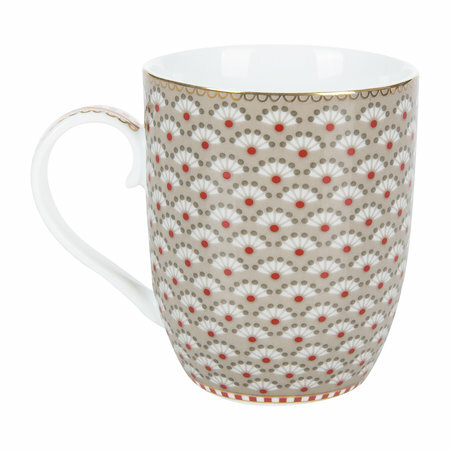 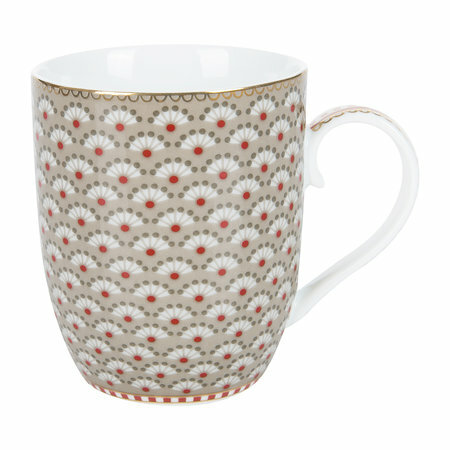 In matching colour schemes, these mugs are available in three delightful colourways and all feature Pip Studio’s signature red and white dashed line edges and golden details. 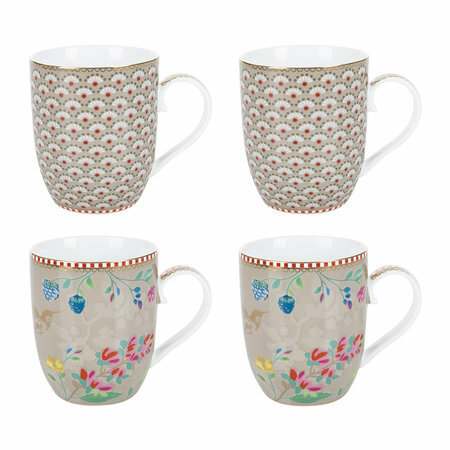 Part of the renewed Floral collection, these mugs are perfect for pairing with coordinating pieces available separately from Pip Studio.